COMPACT & CLOSE TO THE WALL. 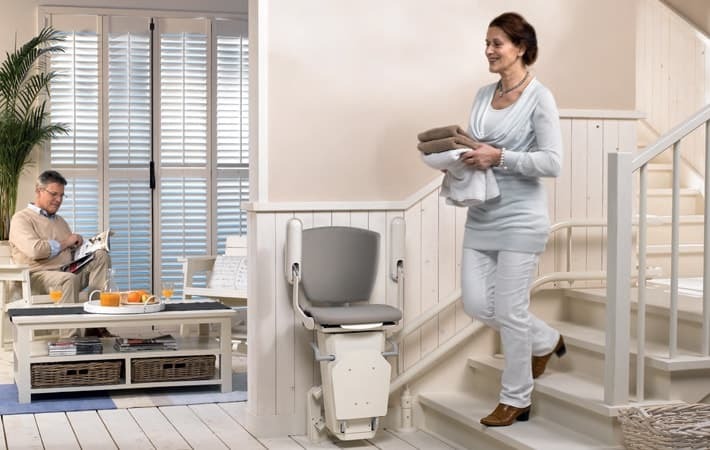 The Otolift TWO Stairlift can be used on the majority of stair configurations whilst still remaining compact & close to the wall. It is available with 2 weight limits, 130kg & 165kg along with an extensive range of additional options to ensure it meets your needs. 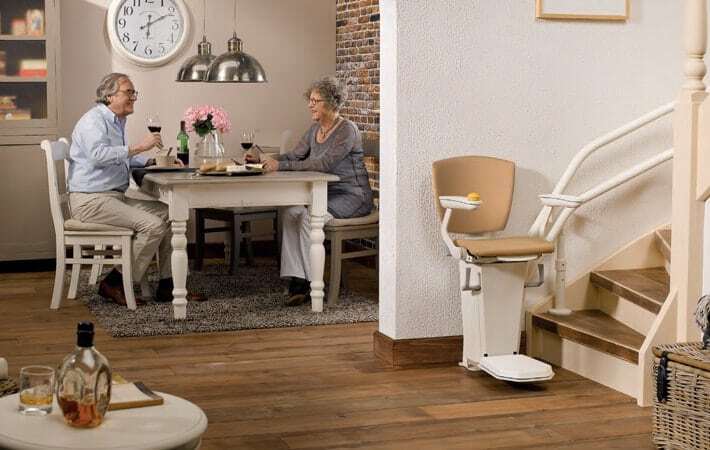 Battery operated, so the stairlift can still be operated during a power cut. 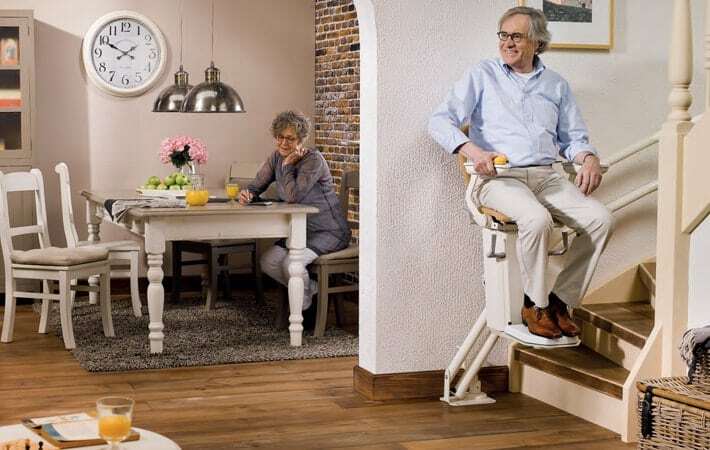 All round safety system will stop the chair lift automatically if anything is trapped or it encounters any obstacles. Unique folding & sliding rail options to avoid any obstructions at the foot of the stairs. Get in touch to find out how Breffni Mobility can help you.